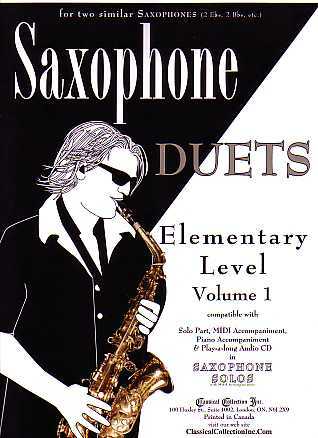 A collection of 9 Elementary Level Saxophone Solos. The accompaniment varies from Strings to Full Orchestra. 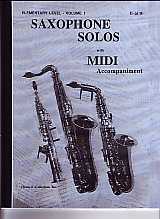 Although the score shows Eb Alto Sax, these books are for any Saxophone (Bb, Eb, or, using the MIDI Accompaniment, C or F).